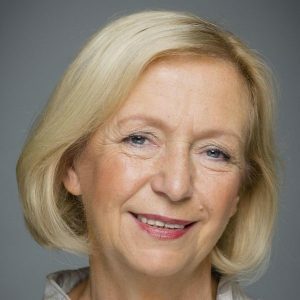 Johanna Wanka has been Federal Minister of Education and Research and a member of the Government of Federal Chancellor Angela Merkel since February 2013. Previously, she was Minister of Science, Research and Culture of the state of Brandenburg for nine years from 2000 to 2009 and then Minister with the same portfolio in Lower Saxony from 2010 to 2013. Johanna Wanka worked in research and higher education for many years. After she had been appointed Professor for Engineering Mathematics at Merseburg University of Applied Sciences in 1993, she was elected Rector in 1994, an office she held until 2000. She had received her doctorate (Dr. rer. nat.) in 1980 for her thesis entitled “Lösung von Kontakt- und Steuerproblemen mit potential-theoretischen Mitteln”. She served as Vice-President of the Rectors’ Conference in the state of Saxony-Anhalt from 1994 to 1998 and then as a member of the Standing Committee on Planning and Organization of the German Rectors’ Conference (HRK) from 1998 to 2000. Johanna Wanka had begun her professional career as an academic associate at the Technical University of Merseburg in 1974 after studying mathematics at the University of Leipzig from 1970 to 1974. She had obtained her Abitur to complete her secondary education in Torgau in 1970. Johanna Wanka has been politically active for many years. She was a founder member of New Forum in Merseburg in September 1989, and served as a member of Merseburg district assembly from 1990 to 1994. She joined the Christian Democratic Union of Germany (CDU) in March 2001, and was elected to the parliament of the state of Brandenburg in 2004, where she served as Chairwoman of the CDU parliamentary group from 2009 to 2010. She was also Chairwoman of the party in Brandenburg from 2009 to 2010. Johanna Wanka was born on April 1, 1951 in Rosenfeld (in what is now the state of Saxony). She is married with two children.